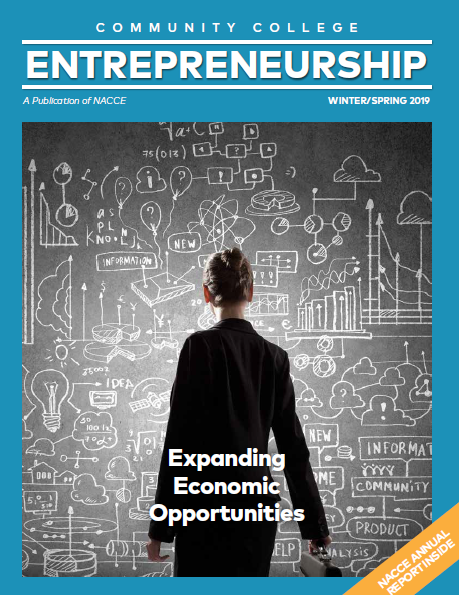 Community College Entrepreneurship, the nation’s only publication dedicated to covering how community colleges are advancing entrepreneurship, is published quarterly as a member benefit by NACCE. Members automatically receive a subscription. Articles from members may be submitted via email to editor@nacce.com. Members: Click here to download the journal and ACCESS ARCHIVES. *Please note: You MUST be logged in to access the journal. If you are NOT a NACCE member, please email info@nacce.com for a complimentary portion of our journal.